City of Peterborough are relishing the opportunity to mix it with the best club sides in the country. City of Peterborough Ladies captain Robyn Gribble. City are seventh in the table ahead of a game at sixth-placed Teddington this Sunday (November 11). “The game at Oxted actually emphasised how much progress we have made this season,” City of Peterborough manager Graham Finding said. 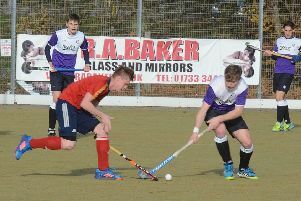 “Oxted have a lot of flair, but we were very disciplined and matched them in all areas for most of the game. “It was a big step up on our efforts against the other title contenders Old Georgians and Canterbury earlier this season. City of Peterborough Ladies have a busy weekend at Bromley & Beckenham in the East Premier Division tomorrow (November 10) and then at Loughborough Students in the English Hockey KO Cup on Sunday. Loughborough knocked City out of this competition last season, but Robyn Gribble’s team will approach the weekend in good heart after answering a few questions about their goalscoring prowess last weekend. City trailed West Herts three times in a Premier Division game, but hit back on each occasion before winning 4-3. Ellie Bolsover scored twice with Katy Lee and captain Gribble also on target for City who are third. City Ladies seconds eased to a 4-0 win over their nearest rivals St Ives in Division Two North West to open up a seven-point lead after just seven games. Chelsea Oldham (2), Shelley Broadway and Charlotte Bradley scored their goals. 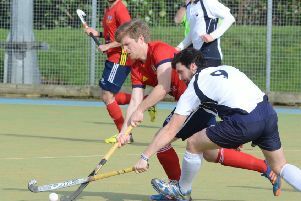 City of Peterborough men’s thirds are up to third in East Division Two North following a 2-1 win at St Ives. Matthew Carson-Doughty and Josh Young scored the goals. City of Peterborough sevenths claimed just a second win of the Division Six North West season as ace umpire Jonathan Bigham bagged a hat-trick in a 3-2 success over Ely. A couple of City of Peterborough veteran teams were in National age group action last Sunday (November 4) and experienced wildly different fortunes. Paul Tancred grabbed a hat-trick as the men’s over 40s won 10-2 in Newark, while the over 45 ladies were thumped 11-0 by a slick Cambridge City outfit. Cambridge University ladies thirds beat March firsts 23-0 in a Division Three North West match.